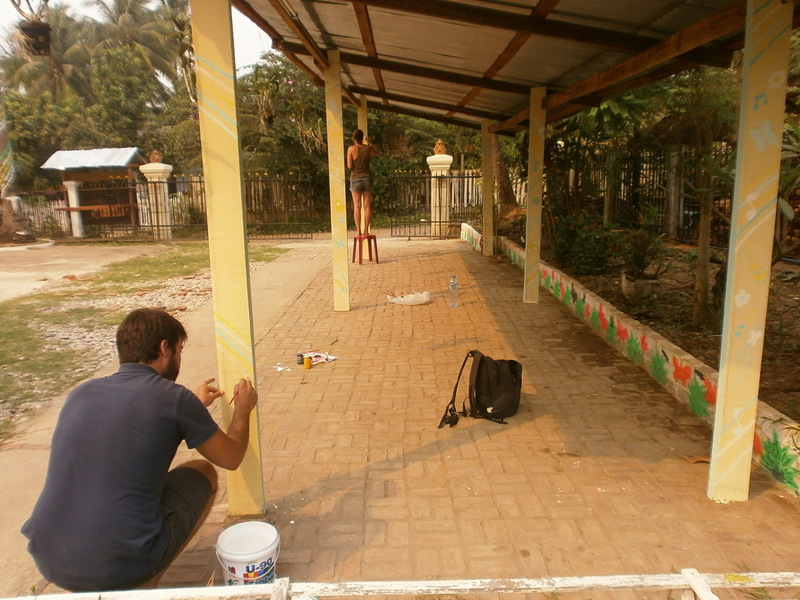 New Paintings by JORDAN ANDRES and BIPTISTINE SAUSSAC from France. 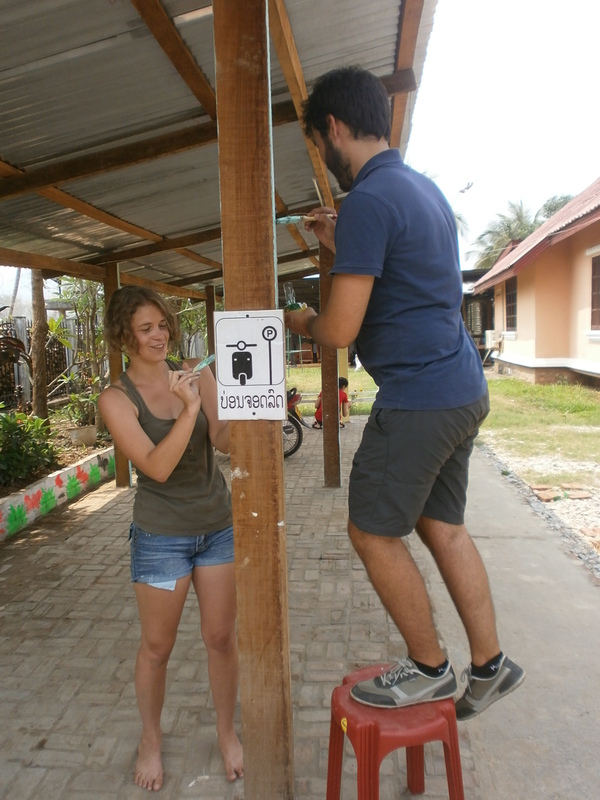 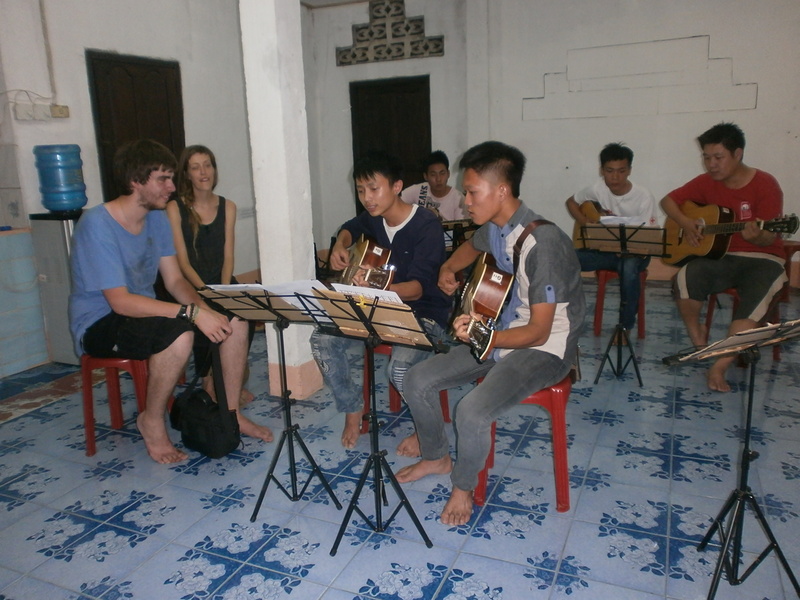 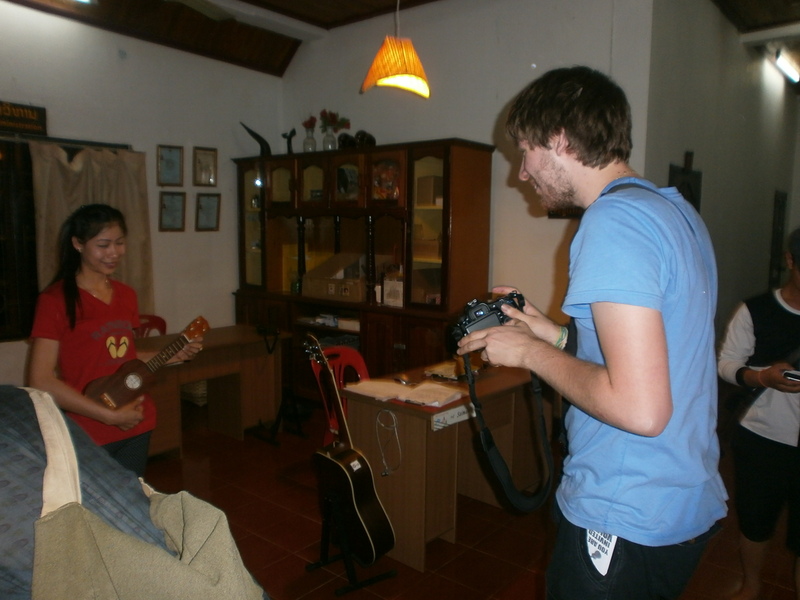 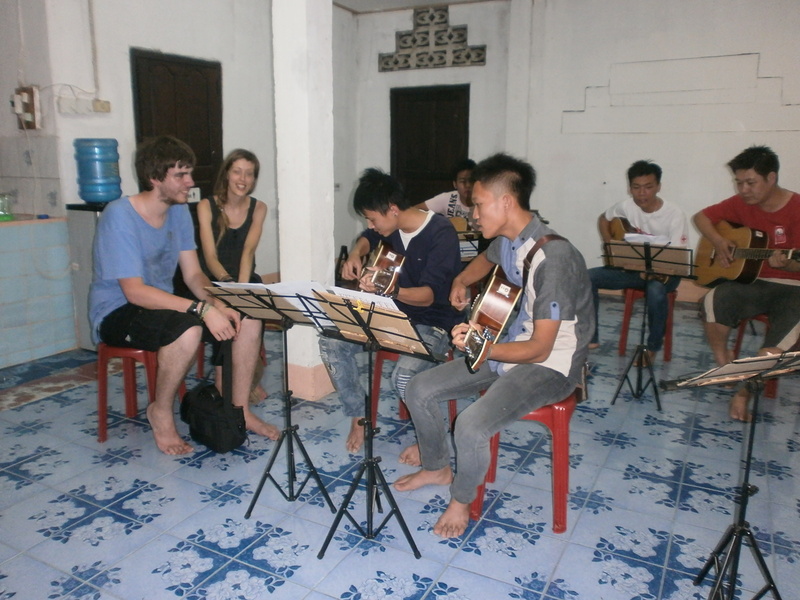 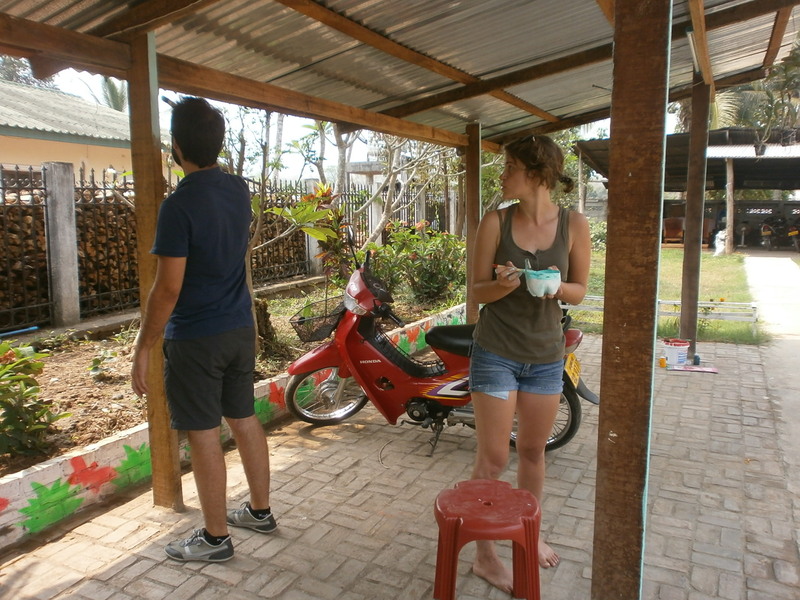 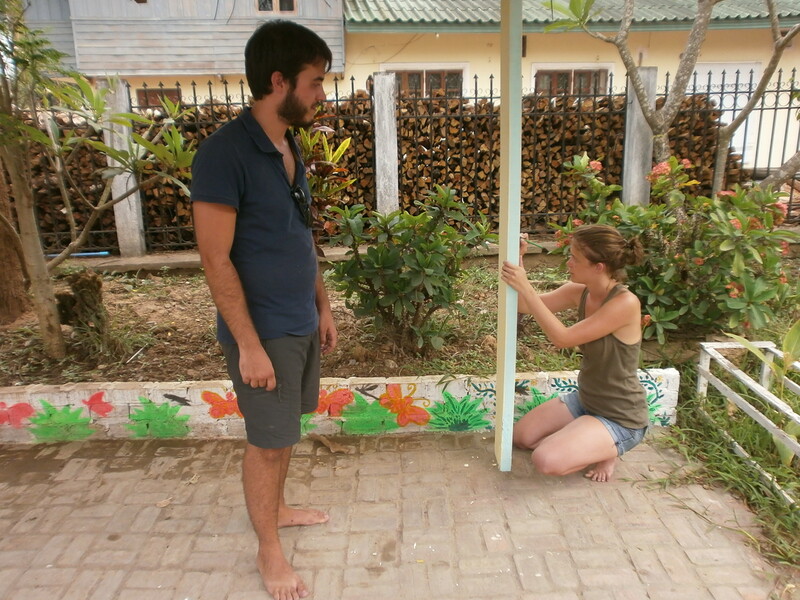 While they were travelling in Luang Prabang for a few days, they dropped at MES and kindly offered to do some things . 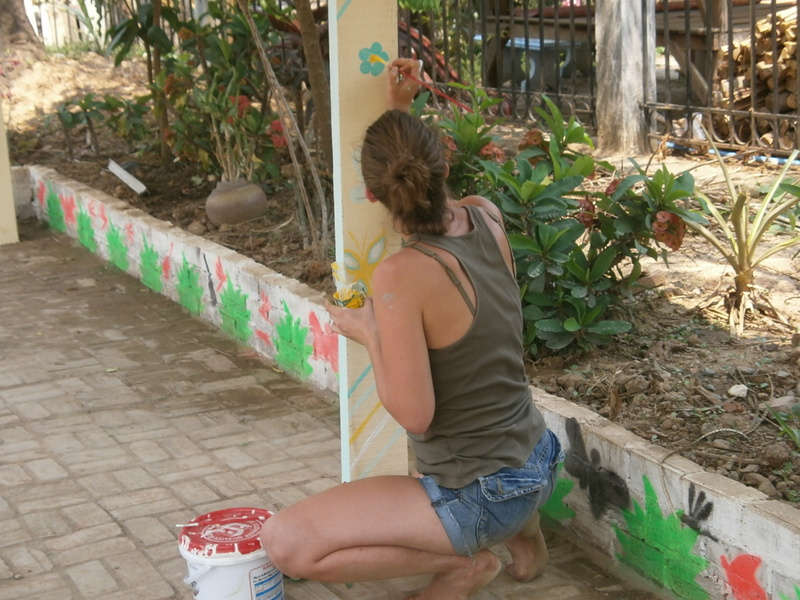 They painted on the woods of the parking area. 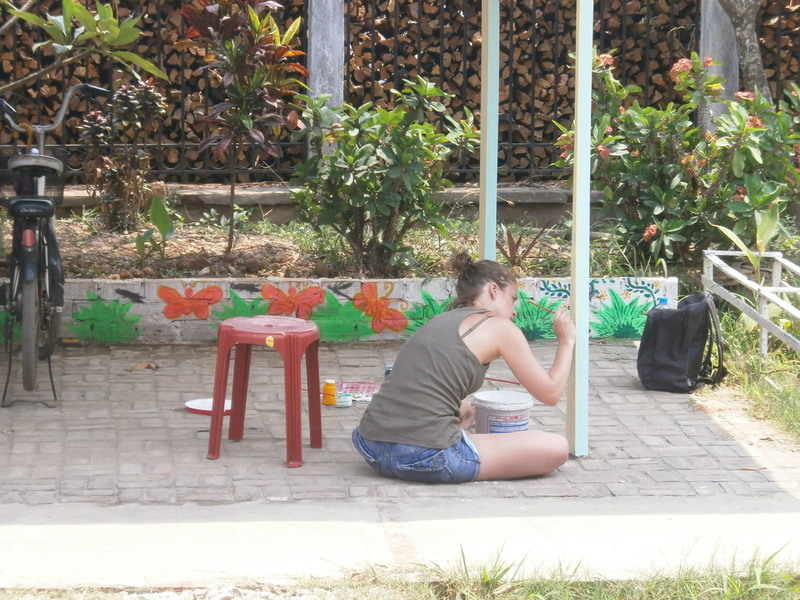 They did very nice paintings. 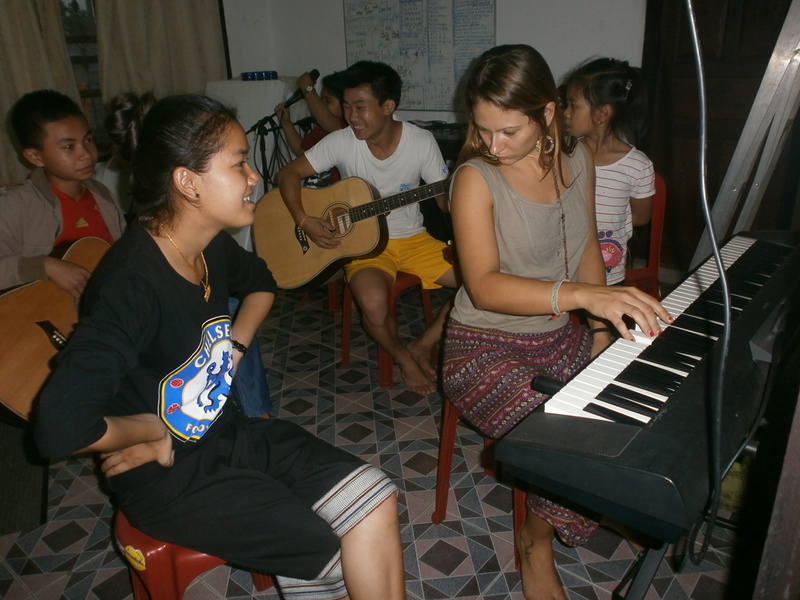 Last week, MES had a piano volunteer from Austria. 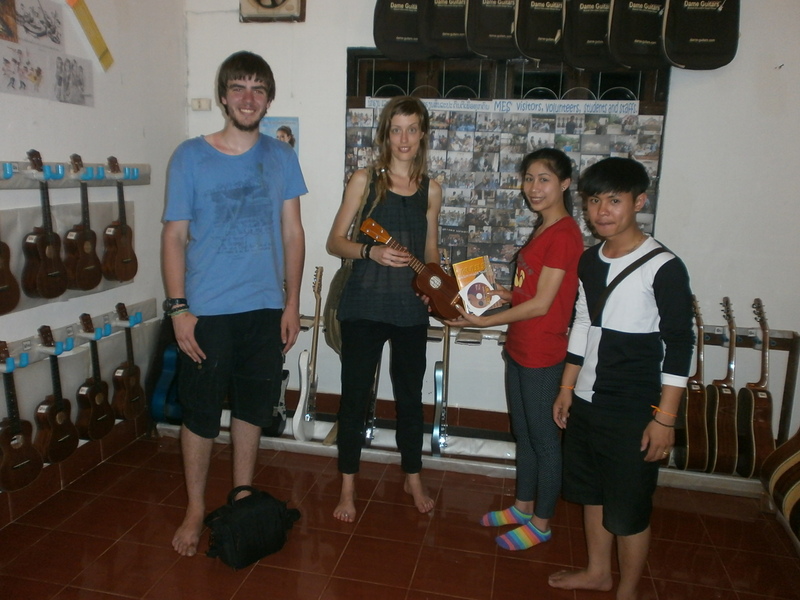 Her name is ANGELIKA and she was teaching for two days. 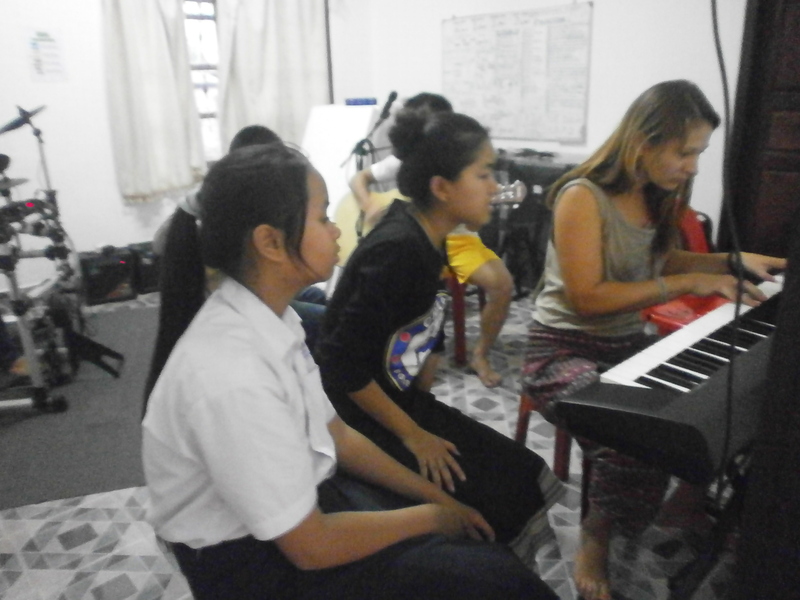 She really enjoyed with her teaching. 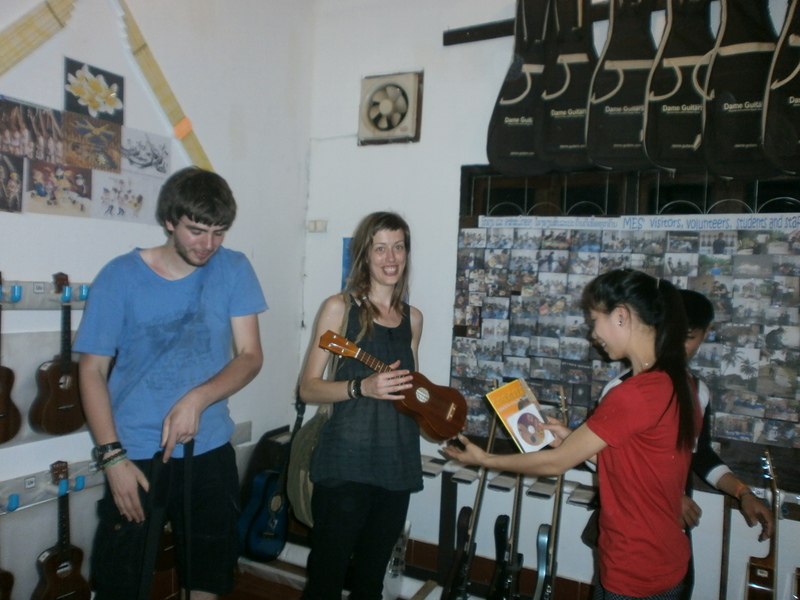 Ale Stuat from UK and Wielke luebben from Germany came to MES for a visit and they kindly donated an used ukulele, ukulele lesson book and a CD.